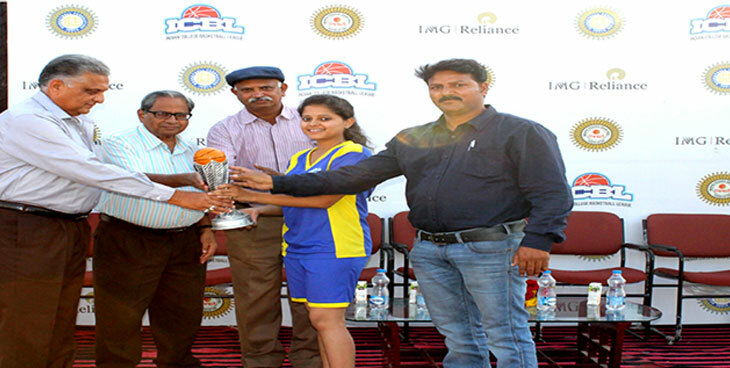 Harshit Khaoja and NItiraj Singh Parmar, Student of the PIMR stood 1st in Divisional Level Cricket Tournament. Divyansh Bhati and Riya Kabra, Student of the PIMR stood 1st in Pistol at University Level. Raghav Singani, Student of the PIMR stood 1st in Lawn Tennis at University Level. Arjun Patel, Student of the PIMR stood 1st in Cricket U-23 CK Naidu Trophy Tournament. Kunal Rajwat, Student of the PIMR stood 2nd in Badminton West Zone. Bhavesh Kelikar, Student of the PIMR stood 2nd in Kho Kho played at University Level. 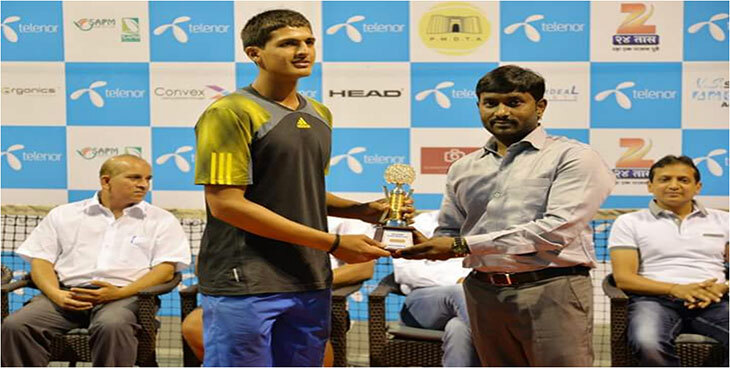 Raghav Singhania, Student of the PIMR participated in Individuals Lawn Tennis (Open Tournament) in 2015-16 organized by Indore Tennis Club and won the tournament. Institute’s team participated in ICBL Basket Ball Girls Open Tournament 2014-15 in IIST College, Indore and won the tournament. 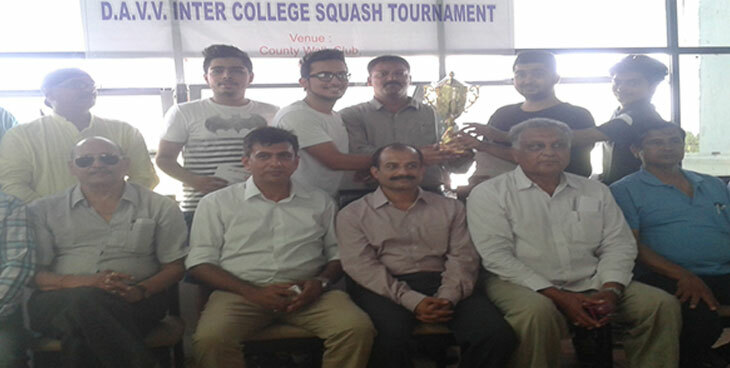 Students of the Institute participated in DAVV Squash Intercollegiate Tournament 2015-16 organized by Gujrati Samaj College, Nasia Road and were the winner. 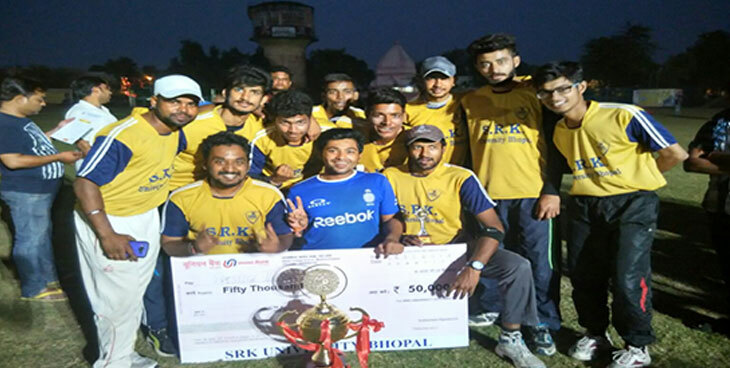 Cricket team of the Institute participate in an Open Cricket Tournament organized by SRK University,Bhopal and won cash prize of Rs. 50000. Gazi Khan, Sharukh Khan and Akshay Goyal participated in Badminton Boys Tournament (DAVV Inter College) organized by Vaishnav Management College in 2015-16. 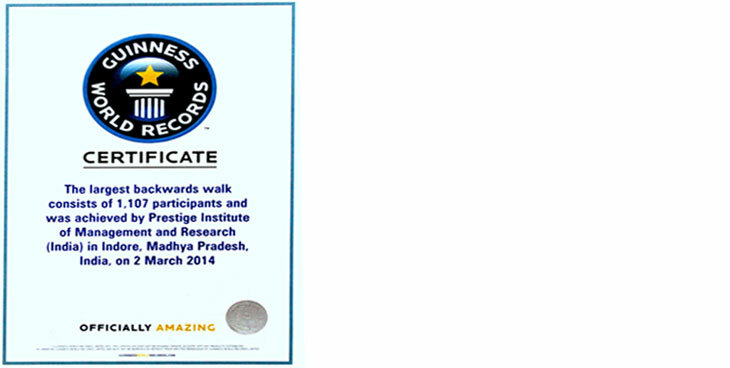 Students made a Guinness World Record in Largest Backwards Walk on 2nd March 2014. Rishika Barfa of BBA was awarded PIMR Chairman’s Gold medal for the batch 2013-2016. Apurva Jain of BCA was awarded PIMR Fraternity Gold Medal for the batch 2013-2016. Apoorva Shastri of BBA (Foreign Trade) was awarded PES Treasurer Gold Medal for the batch 2013-2016. Aakanksha Upadhyay of B.Com. (Hons.) was awarded PIMR Vice Chairman’s Gold Medal for the batch 2013-2016. Shivali Gupta of MBA (FT) Overall was awarded Shri Mohan Lal Bhagat Memorial Gold Medal for the batch 2014-2016. Shivali Gupta of MBA (FT) Marketing was awarded PIMR Faculty Gold Medal for the batch 2014-2016. Suprabh Shrivastava of MBA (FT) Finance was awarded Shri Ashish Goel Memorial Gold Medal for the batch 2014-2016. Nidhi Hemnani of MBA (FT) HR was awarded PIMR Staff Gold Medal for the batch 2014-2016. Ayushi Juneja of MBA (MM) was awarded PES Gold Medal for the batch 2014-2016. Ravina Bakliwal of MBA (IB) was awarded PIMR Gold Medal for the batch 2014-2016. Priyanka Pardeshi of MBA (FA) was awarded Shri Vishal Bhagat Memorial Gold Medal for the batch 2014-2016. Asmita Purohit of MBA (PA) was awarded with PIMR Award of Personnel Administration for the batch 2014-2016. Sakhi Arora of MBA (PT) Overall was awarded with PIMR Director’s Gold Medal for the batch 2013-2016. Ankit Khandelwal of MBA (FT) I Year was awarded Shri Mohan Lal Bhagat Cash Prize Rs.1000 for the year 2015-2016. Akanksha Kharya of MMC was awarded Dr. N. P. Jain Memorial Gold Medal for the batch 2013-2016. Harshdeep Baveja and Ritika Kapil students of PIMR won best paper award among faculty and students delegates in National Conference organized by Chameli Devi Group of Instituttions, Indore on 25th February 2017. Pooja Shrivastava and Ansh Sharma students of PIMR won the first prize and Arijit Jain and Harshdeep Baweja won the second prize in Budget Presentation in the 6th National Seminar on Demystifying Union Budget Jaipuria Institute of Management, Indore during 1-3 February 2017. 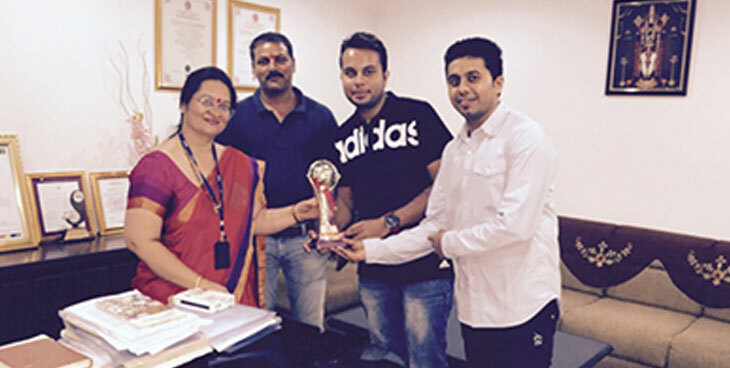 Arijit Jain, Harshit Kundal, Harshdeep Baweja student of PIMR won 1st Prize for Divisional Level in National Level Event 20th Student Management Games (SMG) in 2016. Jyotsna Gupta, Umer Ahmed student of PIMR won 1st Prize for Duet in Sapnadan, Prestige Gwalior on 11-Nov-16. Jyotsna Gupta, Umer Ahmed student of PIMR won 1st Prize for Duet in Inter College Cultural Fest, Medalist on 11-Nov-16. 14 students of PIMR won 1st Prize in Lavnya (IRIS- 2016 ). Sarvesh Mandoriya, Nisha Matai, Suyog Tiwari, Ritisha Singh student of PIMR won 1st Prize in Envision (IRIS- 2016 ). Rohan and Team student of PIMR won 1st Prize in Jay Utsav in November, 2016. Ashish Yadav student of PIMR won 1st Prize in Solo Singing held at Sanghavi Institute of Mgmt & Science, Indore in 2016. Jyotsna Gupta student of PIMR stood Runner up in Sapnadan, Prestige Gwalior on 23rd October 2016. Sonam Rajani, Priya Sahu student of PIMR won 2nd Prize in Envision (IRIS-2016 ). Jyotsna Gupta, Umer Ahmed student of PIMR won 2nd Prize in Duet at Jay Utsav in November 2016. Kunal Mishra, Swati Mishra, Uday Aditya student of PIMR Participated in National Level Event 20th Student Management Games ( SMG ). Umer Ahmed student of PIMR Participated in Solo Song in Sapnadan, Prestige Gwalior. Ashish Yadav student of PIMR Participated in Solo Singing. Jaiwardhan Vyas, Pooja Bagla student of PIMR Participated in SIP Competition on 23rd September 2016. 38 students of PIMR participated in Envision. Anjali Sharma student of PIMR awarded as Best Personality in Jay Utsav in November, 2016. Swati Batra student of PIMR Participated in Face Painting in Jay Utsav in November, 2016.Stuti Baghel, Kunal Mishra, Uday Aditya Saraf, Aditi Gaikwad student of PIMR Participated in Great Britain Debate on 16th January 2017. Fourteen students of PIMR were participated in Walk on World Heart Day, organized by Apollo Hospital, Indore on 29th September, 2016. Manish Sharma, Rishika Madhwani, Anjali Rai and Radhila Choudhary, Student of PIMR participated in RBI Essay - 3 tier competition. Deepak Asrani, Simran kalra, Mannat Singh, Janhvi Saxena, Anjali Shikhwat, Harshit Jadhwani, Yash Agarwal and Karan Sitlani, Student of PIMR participated in Fashion Show organized by Altius Institute of Universal Studies, Indore on 12-13/10/2015. Shweta Soni, Shweta Bhatt, Asmita Purohit, Saili Naik, Anuja Muley and Ayushi, Student of PIMR participated in a dance competition organized by IFIM on 11/09/15. Lavina Goyal, Student of PIMR participated in Fashion Show organized by IIM Indore on 11/09/2015. Shweta Soni, Devyani Jadaun, Akhilesh Navlakkha and Mayuresh Shukla, Student of PIMR participated in SIP competition organized by Vishwakarma Institute, Pune on 30/09/2015. Himanshu Sachdev, Akshay Modi and Pinky Agrawal, Student of PIMR participated in Quiz competition organized by IIPS, DAVV on 19/09/2015. Shweta Soni, Shweta Bhatt, Asmita Purohit, Riya Patel and Arunima, Student of PIMR participated in MP tourism presentation on 27/09/2015. Students of PIMR participated in various events in Cultural program of Altius Institute on 12-13/10/2015. Somi Patodi and Vanshree Gaddhe, Student of PIMR participated in Business plan contest organized by Dr. Ambedkar Institute of management on 25/04/2014 and won consolation price of Rs. 2100. Mohit Rathi, Sachin Sahu, Aditya Prakash and Vikas Singh, Student of PIMR participated in Presentation Contest (Management Fest) organized by Faculty Management Studies, Udaipur on 7-8/03/2014 and won 1st prize of Rs.5000. Nisarga Agrawal, Madan Mohan Tiwari and Pragti Udaipure, Student of PIMR participated in Budget Analysis organized by Jaipuria Institute of Management Indore on 11/03/2013 and won Second prize. Praveen Patel, Mohit Kabra, Shirish Gupta and Ankit Patidar, Student of PIMR participated in AIMA 9th National Student Quiz Contest in Udaipur on 02/03/2013 and secured 4th position. 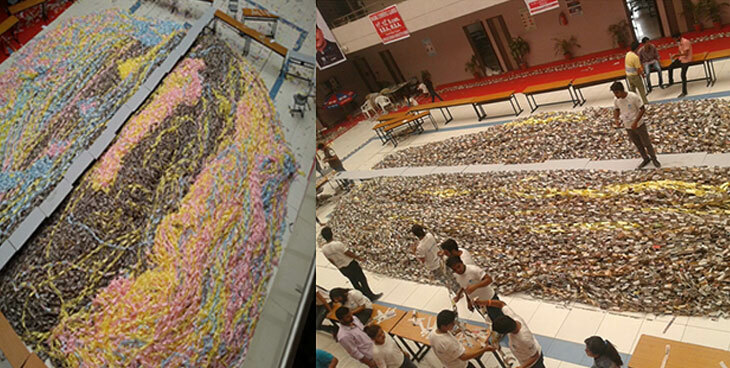 Kiran Gehani and Purva Gupta, Student of PIMR participated in Ahavan-2012 organized by IIM, Indore on 26-28/10/2012 and secured 4th position. Mohit Kabra, Vishnu Patidar, Praveen Patel and Shrish Gupta, Student of PIMR participated in National Student Management Game,2012(Western Zone Prelim Round-1) organized by AIMA, Delhi at Singhad Institute of Business Administration and Computer Application, Pune and secured 7th position at All India Team Level.